Support Benz Trucks Speed Limitation Change. Language Support: Chinese; English; Croatian; Czech; Danish; Dutch; Finish; French; German; Greek; Hungarian; Italian; Japanese; Korean; Polish; Portuguese; Romanian; Russian; Spanish; Swedish; Turkish. Mercedes-Benz Star Diagnosis Multiplexer (Compact 3) is a universal diagnostic tool for all vehicles made by Mercedes-Benz such as passenger cars, trailers, buses, V-Class, Unimog, Actros and other heavy vehicles. Works on 12V and 24V, all vehicles supported (cars, V-class, trucks, buses, Unimog, industrial engines diagnostics). 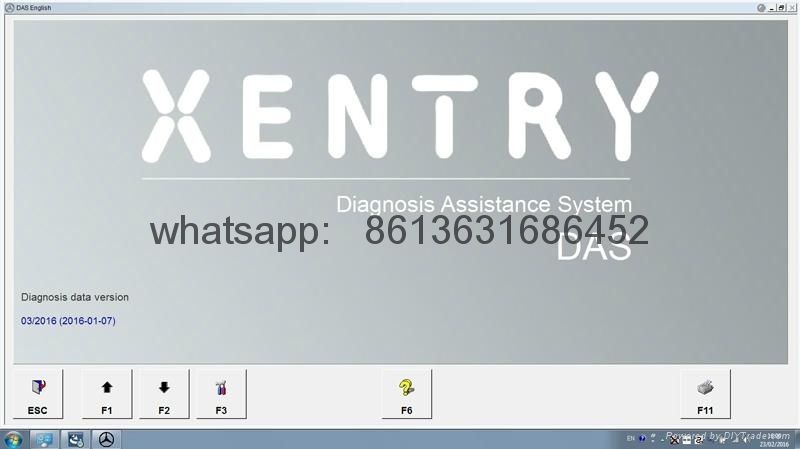 Star Diagnosis Assistance System is a dealer level diagnostic equipment for Mercedes Benz cars manufactured after year 2000, it is the replacement of HHT system. Easy to use and very powerfull kit that suits to any Mercedes-Benz workshop or service. DAS: Concise interface and straightforward operation using a wintel computer you can realize a quick and accurate code reading and testing on the cars system. WIS: Supply the whole view of the wiring diagram in a car, component location diagram and maintenance method. What you do is to enter the chassis number, and then you will get the manufacture data, engine configuration and the car model. Compatibility: All Mercedes Benz vehicles, heavy vehicles, V-class, Actros, Unimog and other.